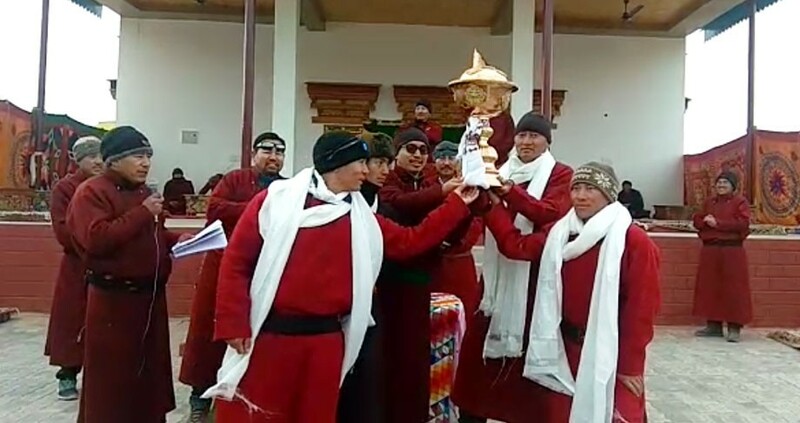 Scoring 364 points, Ladakh Scout Red team won the Stakna Running Archery competition on January 6. The archery competition was organised by Sporting Club Stakna and a total of 16 archery team participated. Jamyang Tsering Namgyal, CEC was the chief guest on the occasion. He appreciated Sporting Club Stakna for organising the archery tournament every year and said that engaging youths in such activities will not only give them chance to exhibit their talent but also keep them away from bad habits. He further said that organising tournament and participating in it will inculcate discipline, sportsmanship, and sense of responsibility among youths for welfare and development of society. Skara Red was the first runner-up team with 348 points followed by LSRC Blue with 322 points as second runner-up. Individually, Delex Angchuk of Skara Red with 115 points was declared first. Tsering Spalgon of LSRC Red scored 107 points and declared second position and Rigzin Chosgyal of Skara Blue with 97 points secured third positions.